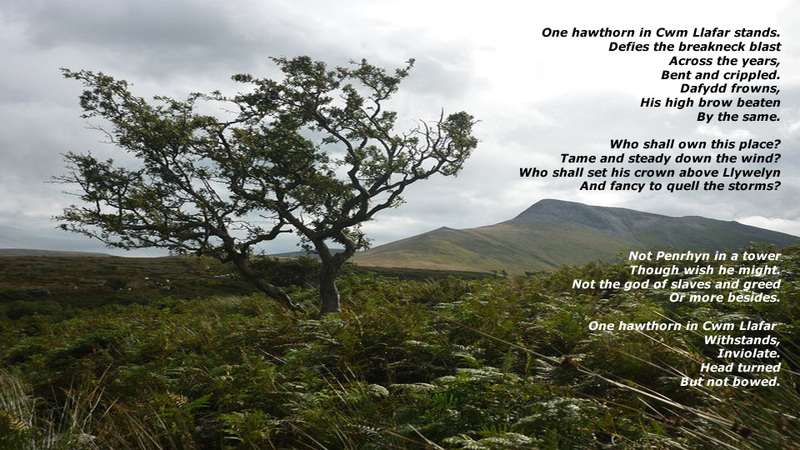 One hawthorn in Cwm Llafar stands. Who shall own this place? Tame and steady down the wind? And fancy to quell the storms?